As the days tick away before this year's Consumer Electronics Show in Las Vegas, South Korean TV manufacturer LG has unveiled its new range of premium TVs and boy do these new sets look plush. Ahead of its own official press conference on 4 January, LG has unveiled a string of deluxe new Smart TVs. 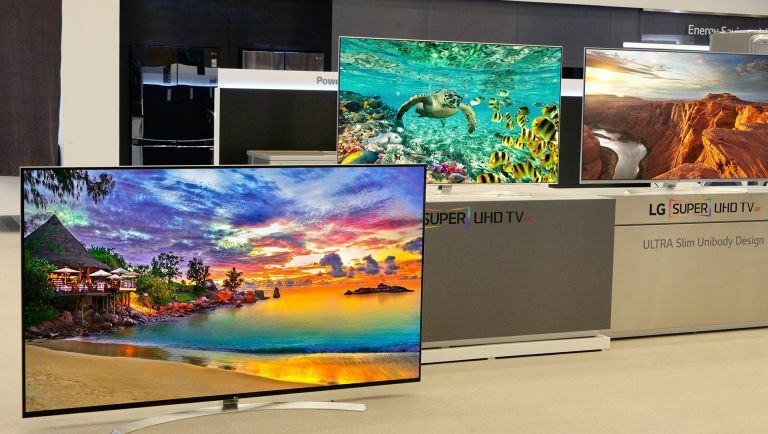 Leading this new premium wave - dubbed 'Super UHD' to distinguish it from regular UHD sets that have been done the rounds already - are the SUPER UHD TV 65-inch UH8500 and the 75-inch UH8550, not to mention the 65-inch UH9500 and the whopping 86-inch UH9550. Yes, you read that correctly - eighty-six inches of UHD so crisp its super. "We're confident our newest HDR-enabled SUPER UHD TVs in 2016 will generate much excitement not in the industry, but also with consumers in general," says Brian Kwon, President and CEO at LG's Home Entertainment Company. "We are the only company with a dual strategy focused on both OLED and IPS TV technologies and this is proof that we are not prioritizing one display over the other." So how will these new super duper TVs differ from the already fresh UHD models on the market?Alongside the usual Ultra HD screen resolution (3840 x 2160, or 8.3 megapixels), these new premium LG bits of hardware will offer a higher colour reproduction rate and advanced audio and picture enhancing features (including high dynamic range) and LG's bespoke Ultra Slim designs. For all the latest previews, news and hands-on verdicts direct from CES 2016, T3 has you covered.